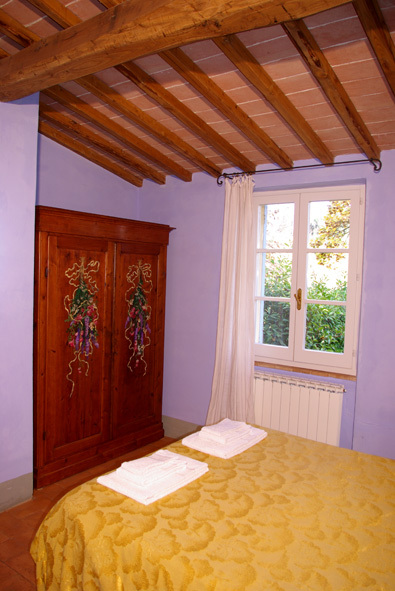 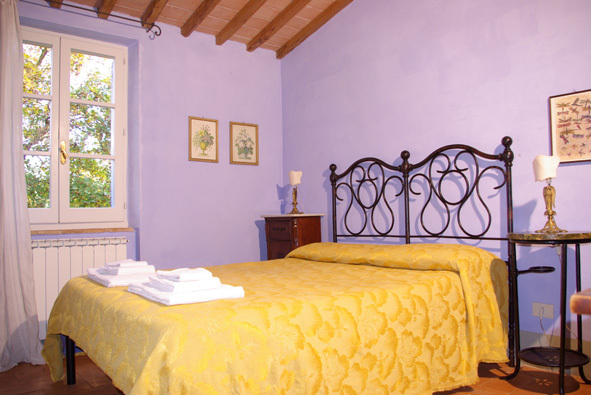 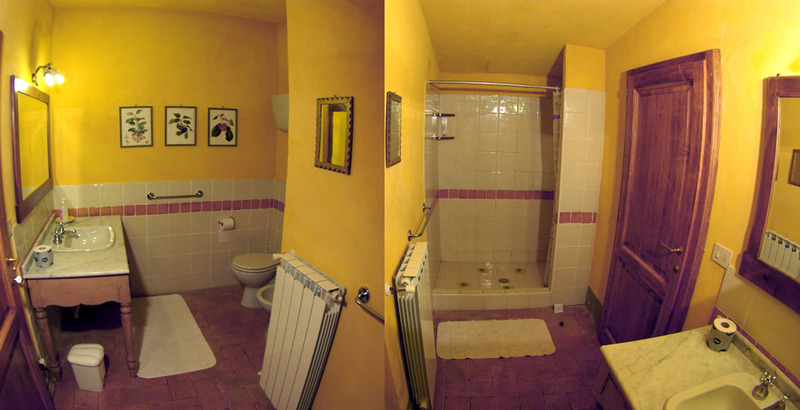 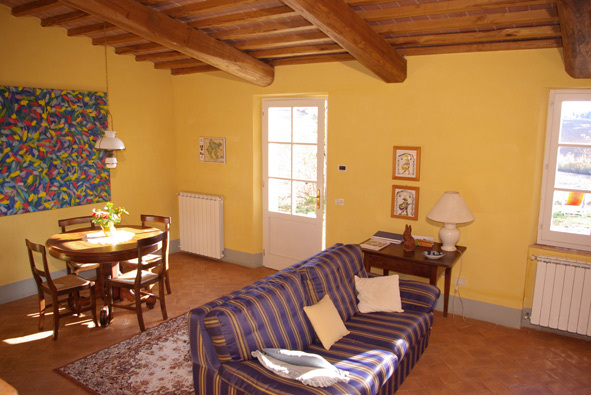 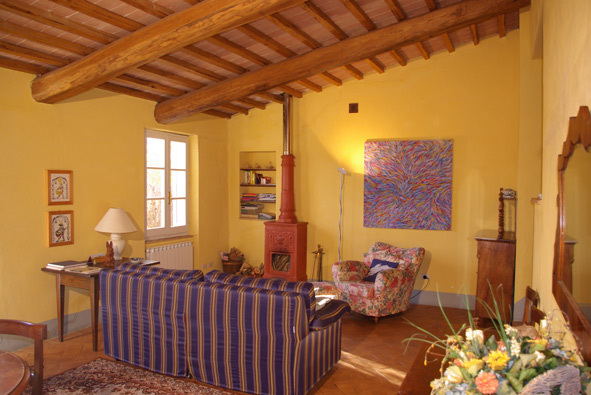 Situated at the ground floor of the farmhouse it’s 80 sqm. 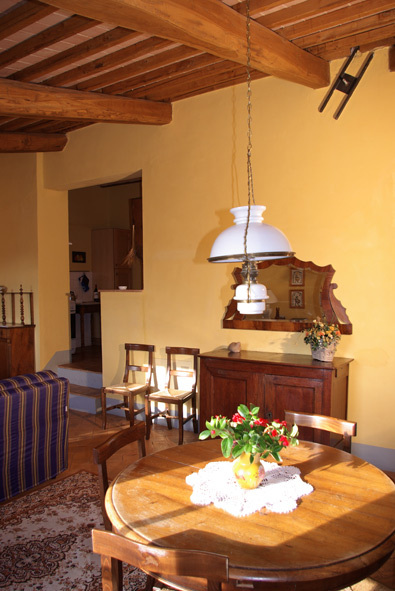 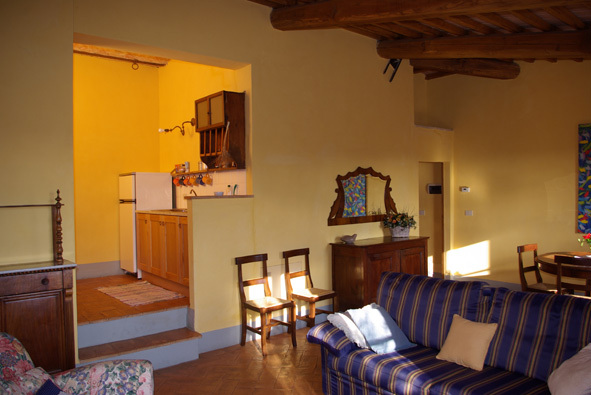 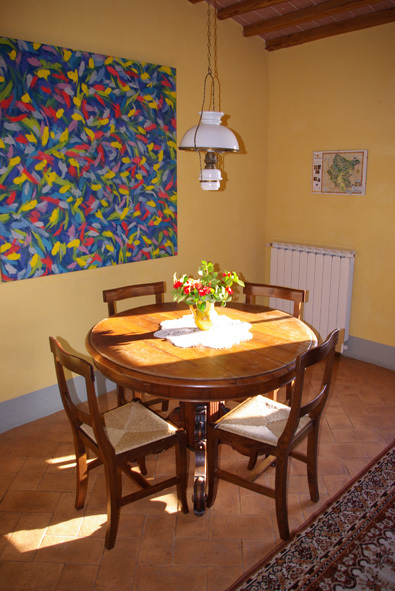 The apartment is composed by a large living-room characterized by typical old tuscan furniture from the family, with a small terracotta fire place a sofa-bed for 2 and a fully equipped kitchen. 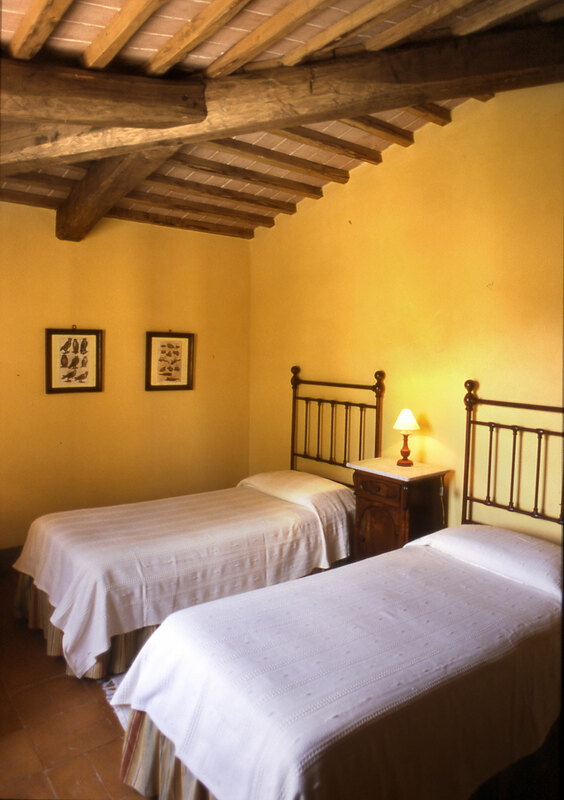 The sleeping area is composed by one double room with ensuite bathroom with shower, one twin-bed room and 1 bathrooms with shower equipped for disabled people. 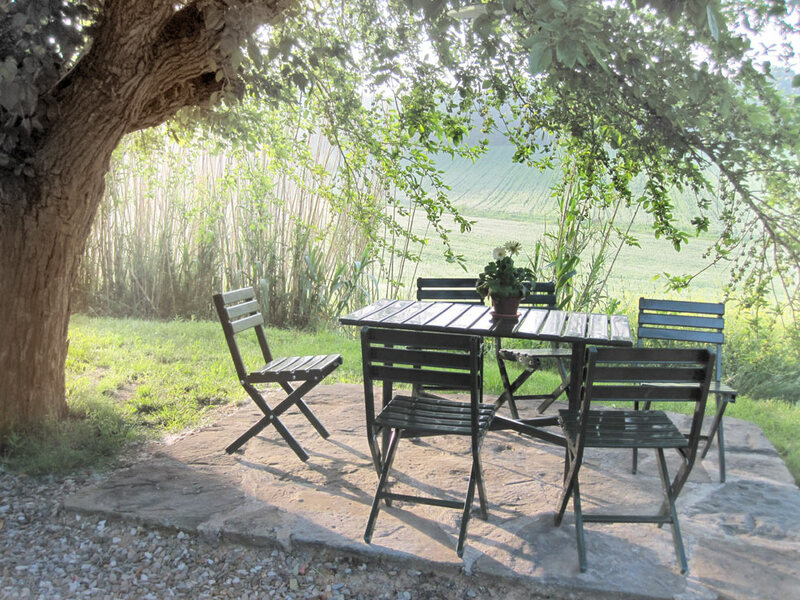 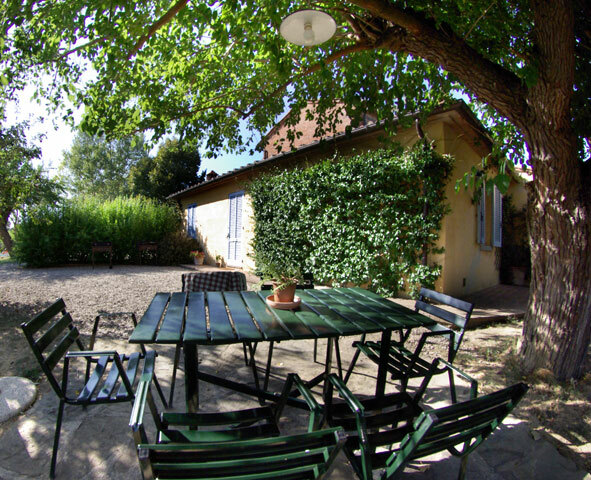 The apartment has a private space to eat outside under the shade of a mulberry tree with a table and barbecue.